[Here is an interesting example of Jewish lying using maths. I came across this comparison of 2 different Jewish "authorities” on the so-called Holocaust. Look at these comparisons of statistics as compiled by two Jews. Notice how they more or less add up to a similar number. 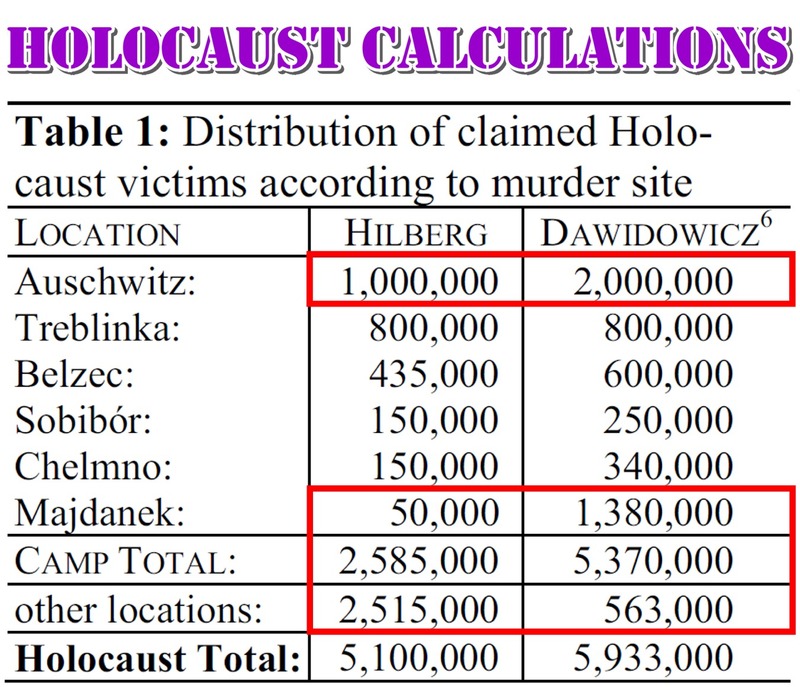 But look closely at the numbers given for the various camps at which these Jews supposedly died. Look at how massively these numbers vary. If you were doing some real history/science you would expect similar numbers. But instead the number vary MASSIVELY at the same locations.